We have very carefully inspected and selected some of the finest budget hotels based on their hospitality and guest services for the traveler of today, seeking efficient, secure, hygienic and value for money accommodation in leisure destinations around the india. One of the great things about India as a tourist destination is that it's ideal for those who are traveling on a budget. 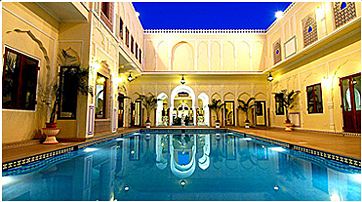 India has always been a backpackers paradise, offering a seemingly endless array of cheap hotels. Yet, budget travel in India no longer means having to sacrifice comfort to save money. The tourism boom has resulted in boutique hotels coming up all over the country to cater for those who want quality at affordable prices. Discover some of the best budget hotels in India here.